Eight right whales have died in less than two months in the Gulf of St Lawrence. This is a huge tragedy, not only because right whales are majestic animals but because their North Atlantic numbers are less than 500. Every whale death threatens an already critically endangered population. The whales suffered blunt trauma from collisions with boats as well as entanglement from nets that crab fishers had cast. These deaths were completely preventable. The Department of Fisheries and Oceans (DFO) knows that something needs to change. They have already stopped crab fishing for the season, yet, next year, the same dangers will face these beautiful animals. We need to pressure the DFO now to change the regulations around crab fishing and boat traffic in the Gulf of St Lawrence before it is too late and these wondrous creatures are gone for good. 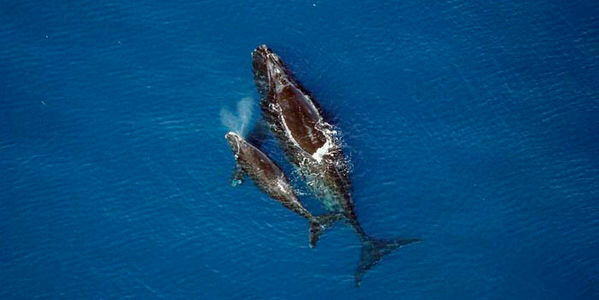 Sign today to save the right whales! By signing today you are applying key pressure to the government to take timely action to revamp fishery regulations.